Thank you all so much for your support over the last 2.5 years. Until now, every aspect of Midway: The Story of Chicago Hip-Hop has been self-funded. The equipment, software, graphic and web design, travel expenses, everything. We’ve finally reached a point where additional funding is needed to help us finish production as quickly and with the highest quality as possible. To do that, we decided to turn to crowdfunding via Seed & Spark and are asking you — our fans, friends, and family for any financial support you can give. To kick off our campaign, we are producing a telethon-like event beginning at 11am CST on Thursday, July 28 which you will be able to watch live through Google and Facebook. 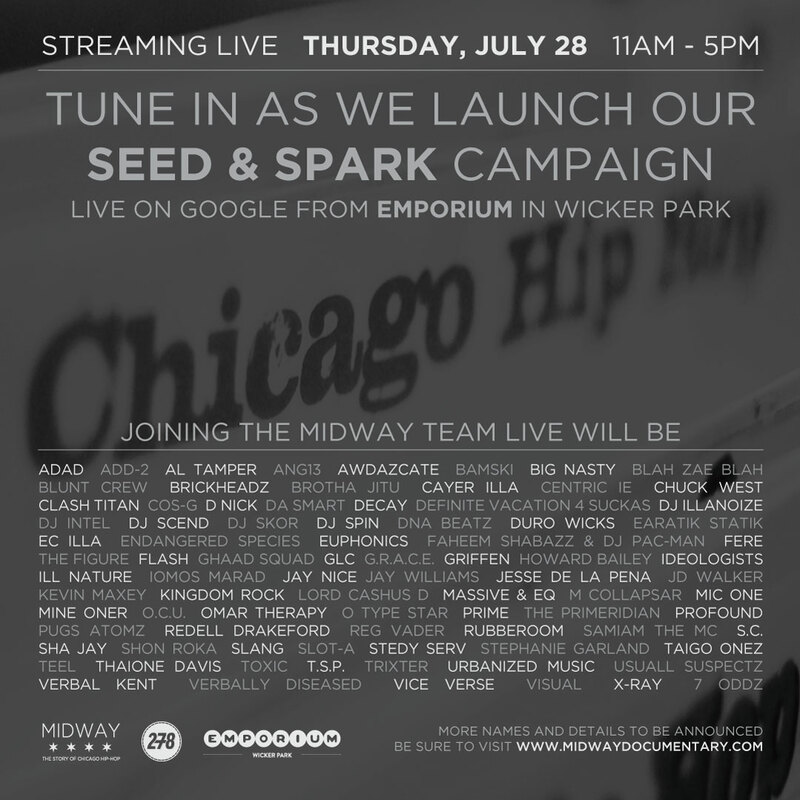 The Midway team will sit down with numerous members of the Chicago hip-hop community to talk about the documentary and their current projects. Please use #AskMidway to join in the conversation with the Midway team and the artists via Twitter and Facebook throughout the day. More names, details and a link to the campaign to be announced.